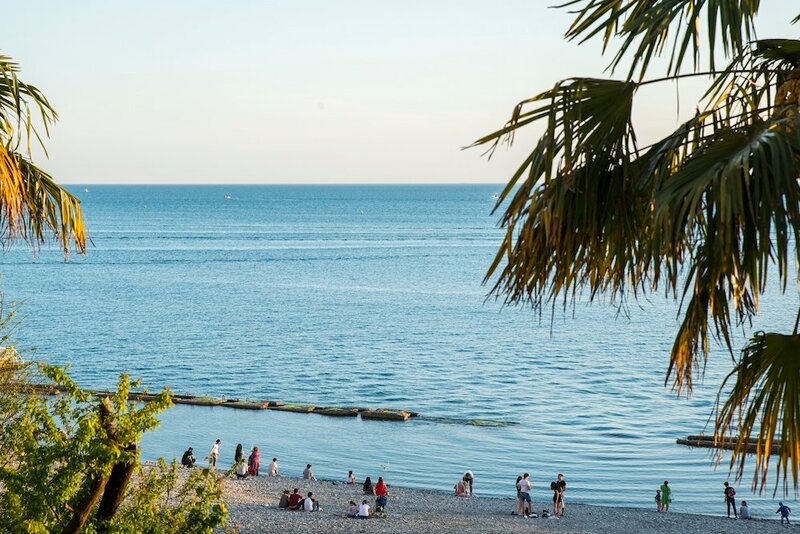 Despite rising to world fame when it hosted the 2014 Winter Olympics, subtropical Sochi made its name long before as one of Russia’s most popular beach resorts. During the Soviet era, millions of workers would take their annual holiday here on the “Russian Riviera”, restoring their strength and spirits at one of the city’s sanatoriums. 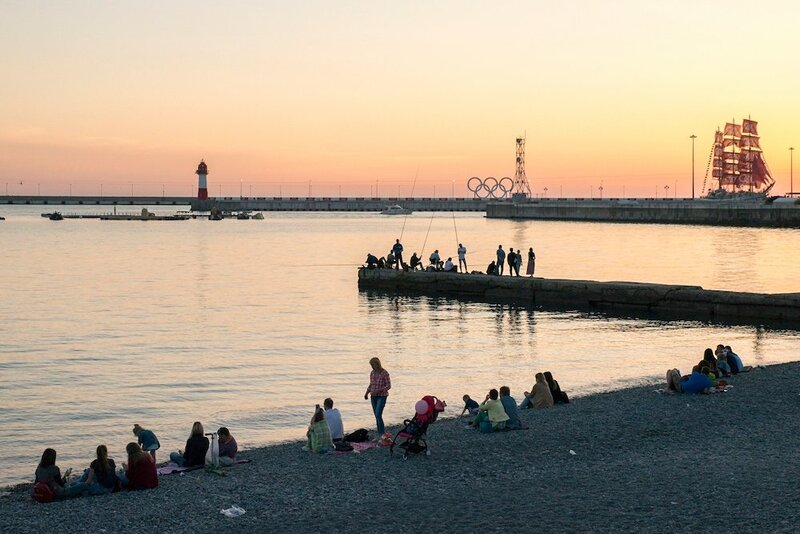 The Calvert Journal has crafted an itinerary of nostalgia-inducing spots to help you get a glimpse of the Soviet seaside glamour that can still be found on a visit to the “Black Sea Pearl”. We begin our day in the western part of town, in the ever popular Riviera Park. Opening in the late 19th century, this vast park stands opposite the port and at the centre of Sochi’s history as a resort city. Here Moscow’s VDNKh and Gorky Park meet the subtropics, as fairground rides, a large number of delightfully kitschy statues and fountains, a dolphinarium and some stunning nature vie for your attention. Take a walk down the Alley of the Cosmonauts, where 55 Russian and American astronauts have planted magnolias through the years, with Yuri Gagarin the first to do so in 1961, before paying a visit to the reconstruction of the wonderfully whimsical, elaborately designed villa of renowned Moscow merchant Vasily Khludov. If you don’t get lost in the mirror maze, stick around for some music; come summertime, the park’s Green Theatre hosts concerts by the likes of fiery rock musician Zemfira. Bid farewell to the park by saying hello to Lenin: a huge mosaic bearing his image can be found at the southern entrance to the park. Now we follow the main road over the Sochi River, through Komsomolsky Park with its “Liverpool Four” tribute to the Beatles, courtesy of local street artists Street Skills, and down to the port. Surely it’s about time for a coffee. Inside the historic port terminal building you will find Chaika, a positively stately restaurant and cafe with original Soviet decor (complete with towering spire and neoclassical columns) and a veranda that boasts views of the extravagant yachts moored in the marina and across the expanse of the Black Sea. If you’re looking to splash out a little — prices here befit the opulent surroundings — you can taste iconic Russian dishes such as Olivier salad and beef stroganoff. From here you are well placed to make your debut on the famous Sochi promenade. Also known as Primorskaya Street, this 3 km-long stretch still has something of the Soviet St Tropez about it. Here you can pick up some necessary souvenirs, raise your adrenaline levels at the funfair and refuel at a wide variety of cafes (perhaps a shashlik at the old-school Cafe Shturval or some cheese-stuffed Georgian khachapuri at U Palmy), all the while engaging in some stellar people watching. 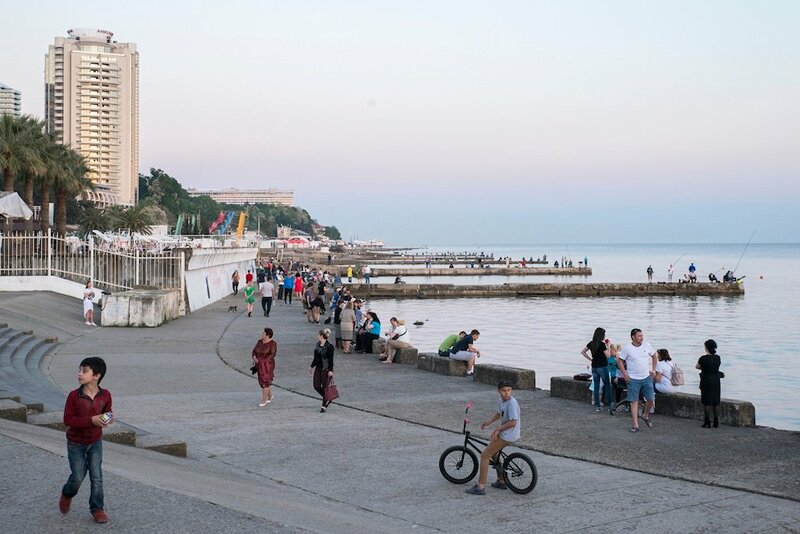 From here you can descend to the stony beach and dip your toes in the waters of the Black Sea, or walk to the end of one of the many piers to get a different perspective on the waterfront development. A picture-perfect moment lies towards the tail end of the promenade at Frunze Park: join the multitudes of holidaying couples in taking a photo under the park’s beloved domed pavilion overlooking the sea, for a holiday snap worthy of a postcard. Once that all important Insta post is achieved, continue on your way until reaching the Sochi Arboretum (Dendrarium). Stunning at any time of year, whether adorned with autumn colours or abloom in springtime, the 12-acre park is home to an enormous collection of exotic plants: from sakura cherry blossom to American Redwoods. Start in the lower part of the park with a walk in the shade of the trees and a relaxing moment spent by the pond among the swans and occasional pelican or beaver, before venturing uphill to the upper Dendrarium. 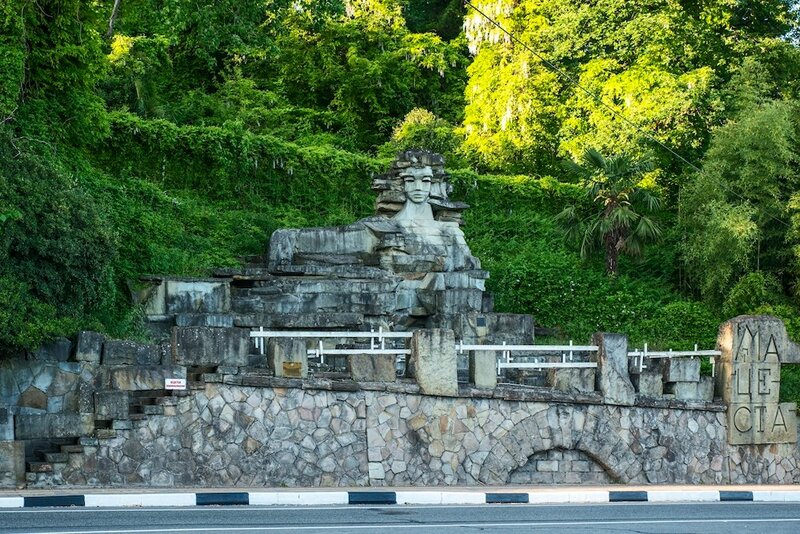 Either enjoy the walk or take a weight off your feet with a cable car ride up to this more classical part of the park, which is home to a number of sculptures, fountains and decorative pavilions, along with panoramic views across the water and mountains. 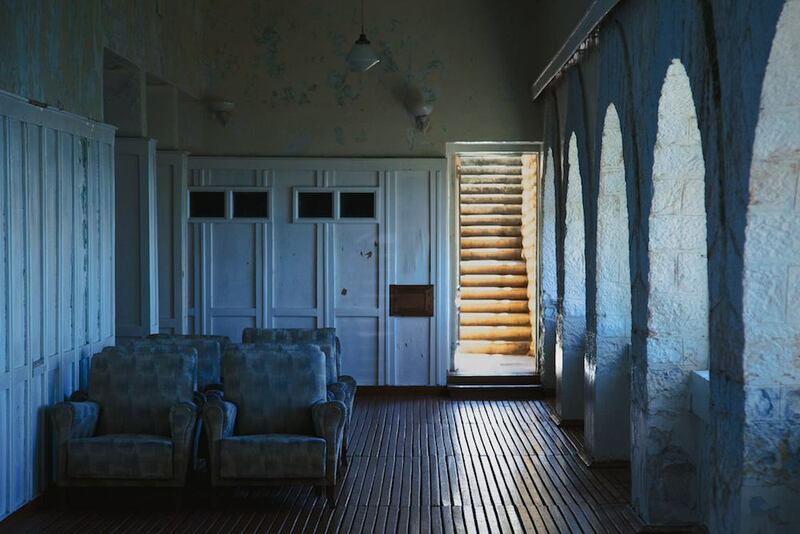 From here we step back in time to discover a Soviet institution: the sanatorium. To get there, either walk from the southern part of the arboretum or take the 43, 120 or 121 bus from the “Tsirk” bus stop on Kurortny Prospekt, riding until you reach Metallurg. 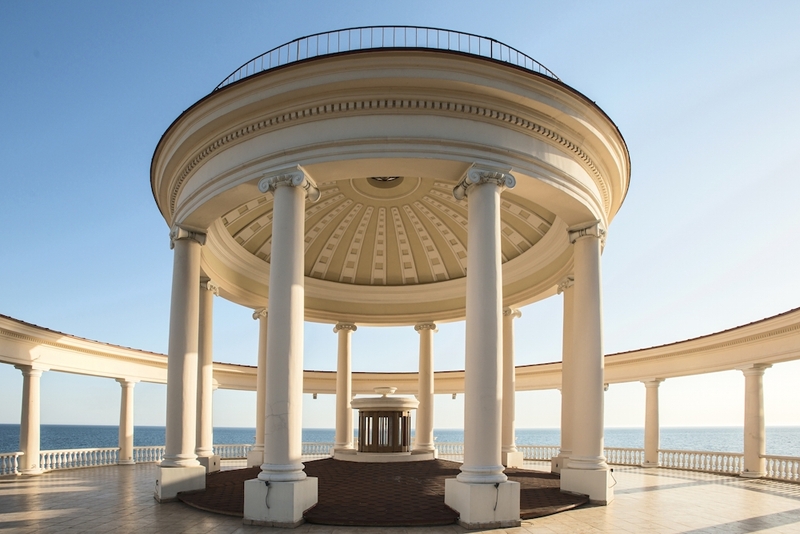 Opening its doors in 1956, Metallurg is one of scores of sanatoriums to grace the Russian Riviera, with the number in and around Sochi standing at over 100 at its peak. In 1919, Vladimir Lenin issued a decree that saw formerly aristocratic villas nationalised and transformed into health resorts for workers, with construction of new resorts booming in the 1930s. First intended for the treatment of metalworkers, Metallurg combines elements of baroque and neoclassical architecture, and is surrounded by lavish gardens. 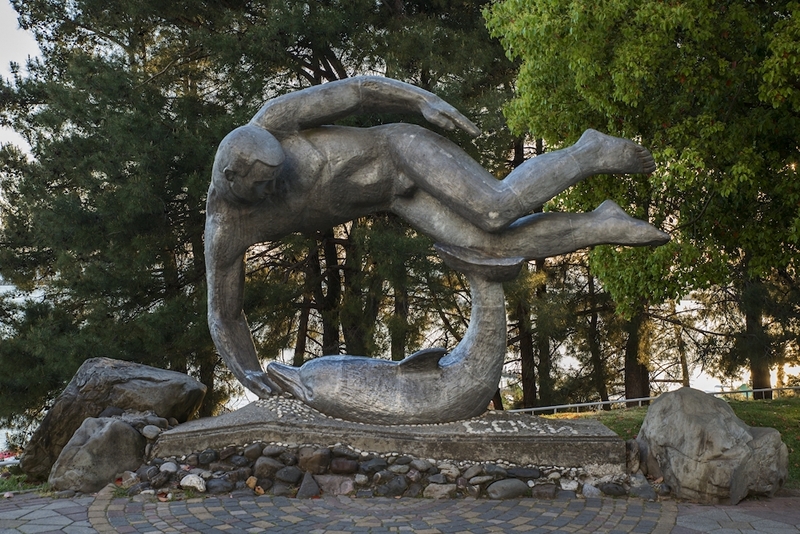 While many symbols of the Soviet era have faded since the collapse of the USSR, Sochi’s sanatoriums have, until recently, remained a steadfast relic of the past. With the coming of the Winter Olympics, however, many turned their backs on the health staples of the past in favour of beach bars, live music and resplendent buffets, restyling themselves as luxury hotels. 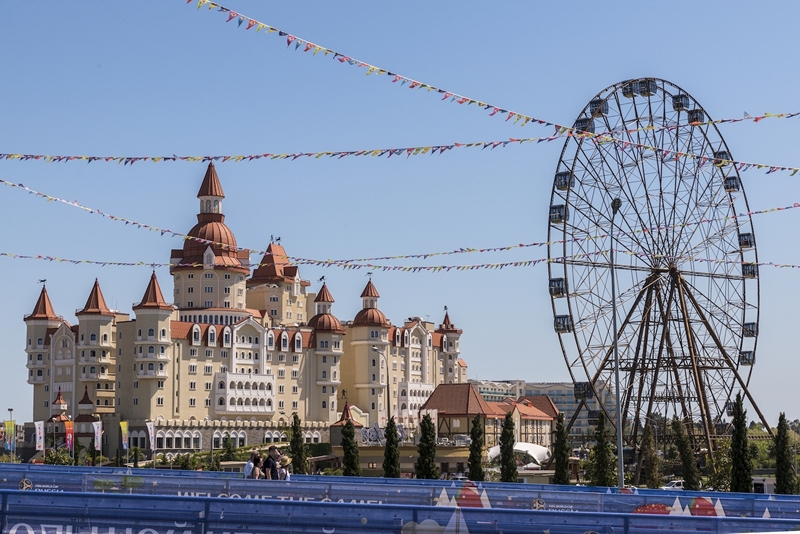 No fear: despite having undergone some significant refurbishment in the run up to the 2014 games, Metallurg still offers a wealth of treatments both familiar and strange-sounding to contemporary ears. Will it be a radon bath, mud tampons (?) or perhaps a spot of magnet therapy? After a healing treatment, enjoy an evening of dance and a personally tailored dinner, as recommended by the resort’s physicians. If you like the sound of verdant grounds and temple-esque columns but would rather spend your holiday without the presence of a team in lab coats, just down the road is the (former) sanitorium for you. A 20-minute walk away from Metallurg stands the imposing Ordzhonikidze Sanatorium which, despite its name, no longer functions as a health resort. 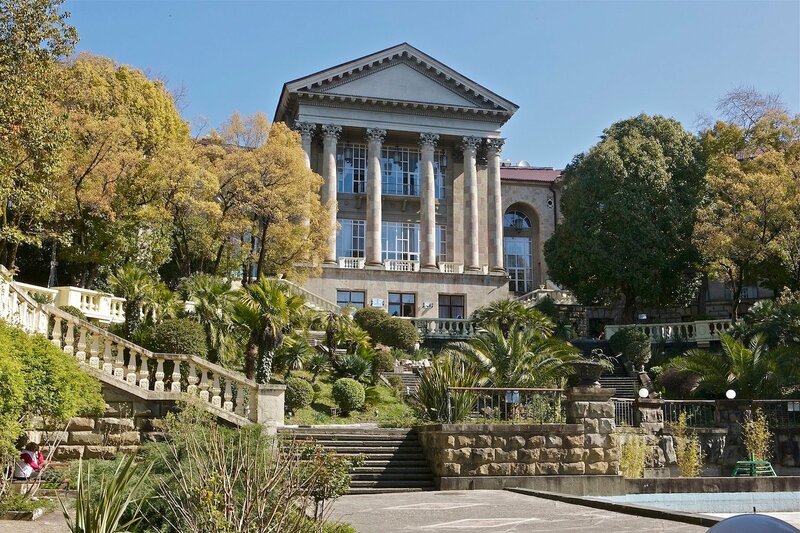 Opened in 1936, Ordzhonikidze is built in the Stalinist architectural style, with its gardens centring around an opulent fountain and its imposing buildings perched atop sweeping stone staircases. An certain mystique still pervades the site, not least owing to the demise of its namesake Sergo Ordzhonikidze, head of heavy industry in the early Soviet government, who died in mysterious circumstances during the Stalinist purges. After lying empty for many years, palatial Ordzhonikidze has reopened as a hotel: now you can stroll through the manicured gardens without fearing you’ll be prescribed a colonic irrigation. 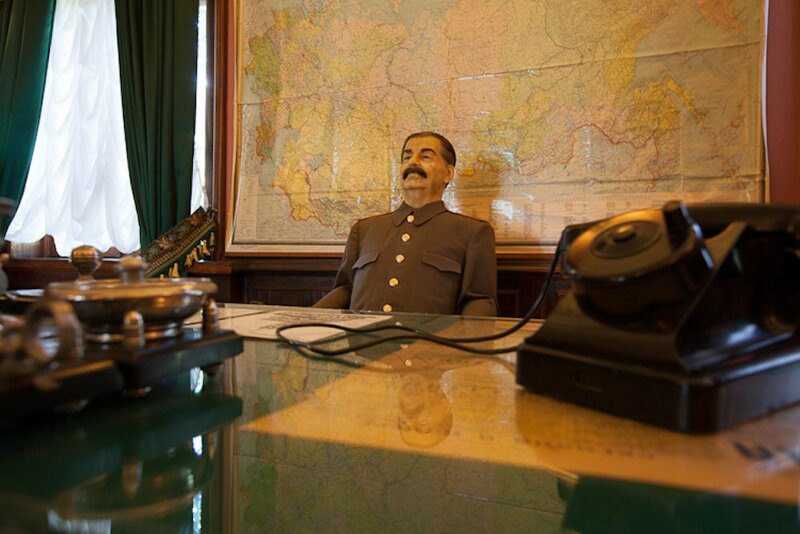 Speaking of Stalin, a ride on the 122 bus (get on at Sanatory “Pravda” and off at Ozdorovitelny kompleks “Sputnik”) will bring you to his dacha. Hidden both by thick cypress trees and its own greenish hue, which acts as camouflage, the “Green Grove” dacha was Joseph Stalin’s summer residence from 1937 until his death in 1953. Now open to visitors (and even partially available to book for holiday accommodation), the dacha was designed by architect Miron Merzhanov, to whom Stalin made a crucial request: no fountains. Sure enough, you won’t find any fountains here, but will have to make do with a look inside the Soviet leader’s private cinema, where legend has it that Charlie Chaplin films were regularly screened, along with the original billiards table and the eerie sensation that comes with seeing a waxwork Stalin sitting behind the actual desk inhabited by “Uncle Joe” himself for so many years. Be prepared to bring a coat in the cooler months, as Stalin reportedly requested that there be no heating. Or could it be the rumoured ghost sending a chill through the room? From ghosts of the past, to sites of potential resurrection. We end our tour with a bonus location, not so much an emblem of Soviet seaside nostalgia but a symbol of Sochi’s changing face and fate. A trip to the mammoth venues of the Olympic Park (accessible both by train and bus) provides an illuminating context in which to place all that we have seen. The $48 billion price tag was indicative of both a concerted push to lift the stagnating provincial resort town and the challenge of connecting the monumental international event to the everyday existence of the city. As work continues to prepare the park for the World Cup we might ask: will this be the event that transforms Sochi into the awaited world-class sporting mecca? Pondering such questions is enough to make you want to check in for that magnet therapy.